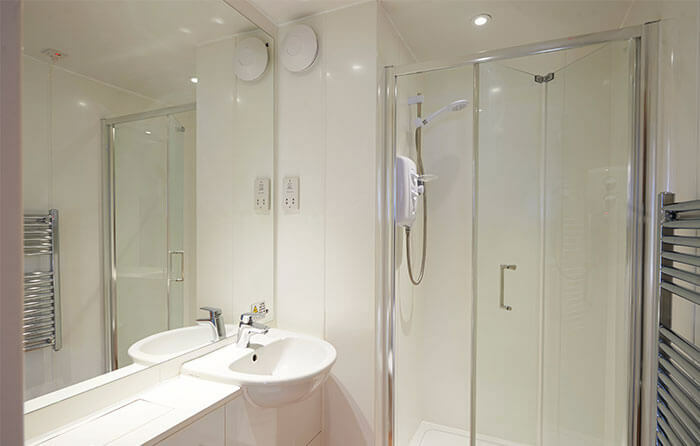 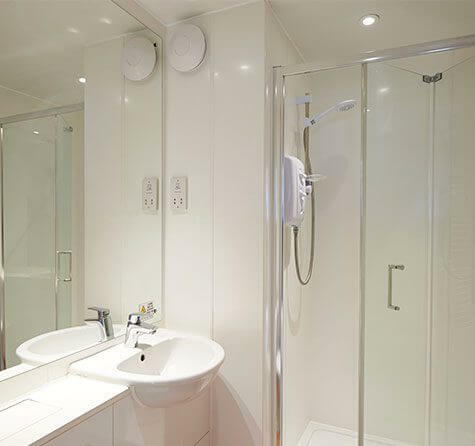 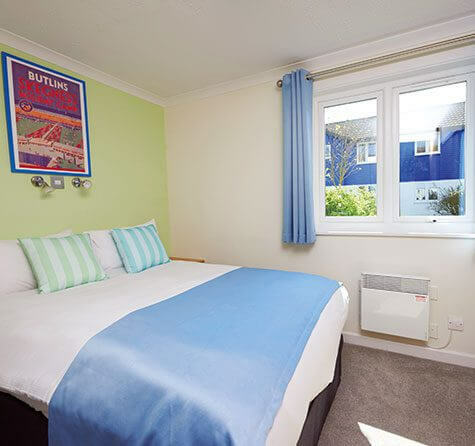 A popular mid-range option, choose from our Silver Apartments or our New Style Silver Apartments. 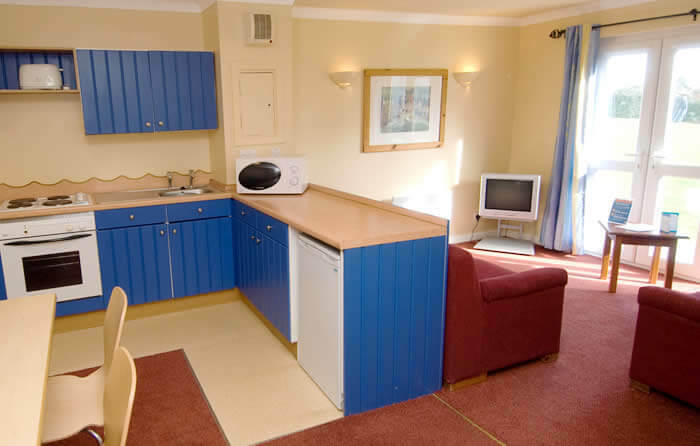 All finished with contemporary furnishings, a microwave in the kitchen and a widescreen TV in the lounge. 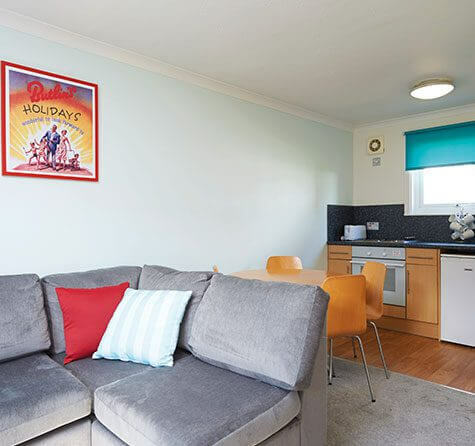 The interiors of our New Style Silver Apartments have had a nostalgic makeover using iconic Skegness imagery. 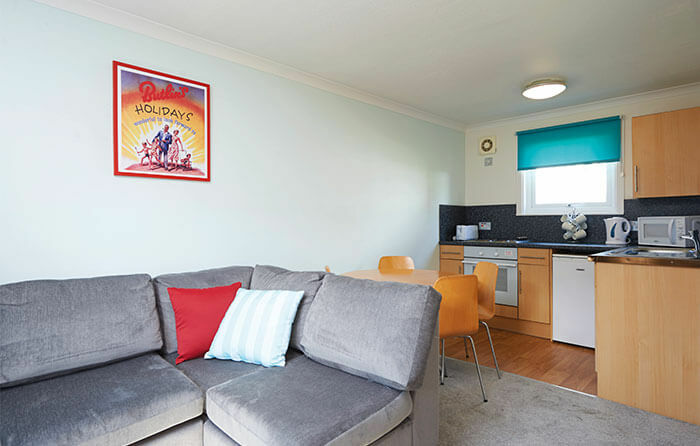 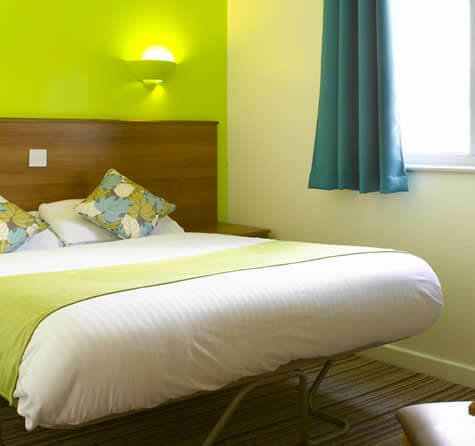 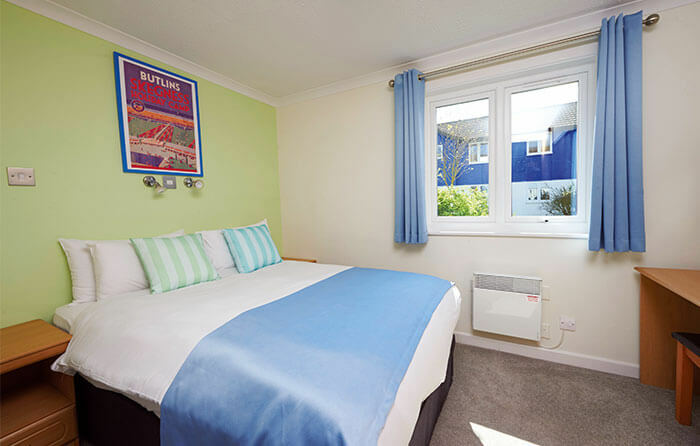 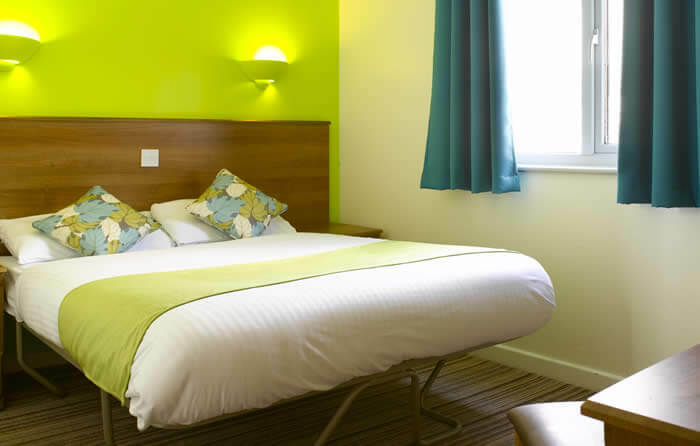 The newly painted refreshed apartments are an open-plan world of colour, charm and cheer, providing you and your family with a relaxing space and somewhere to get comfortable in after a busy day at Butlin’s. 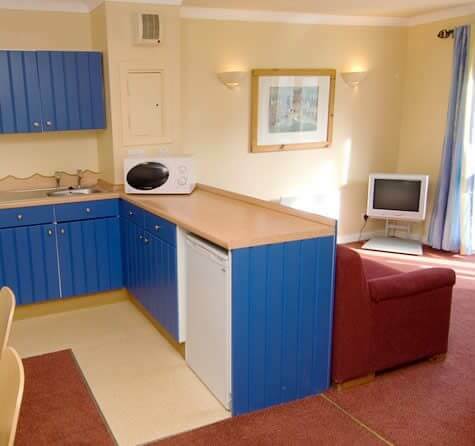 Located at Ocean Point in Skegness. 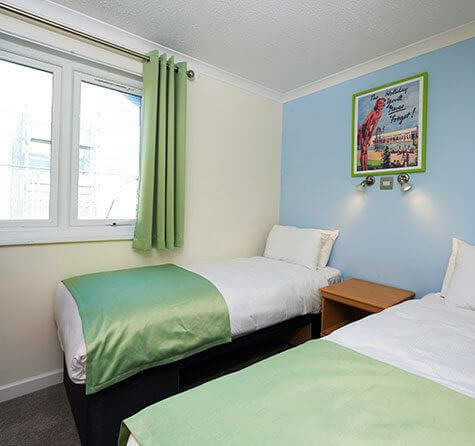 Our Silver Apartments are set in New England style accommodation villages over 3 floors, so you could be on the ground, middle or upper floor. 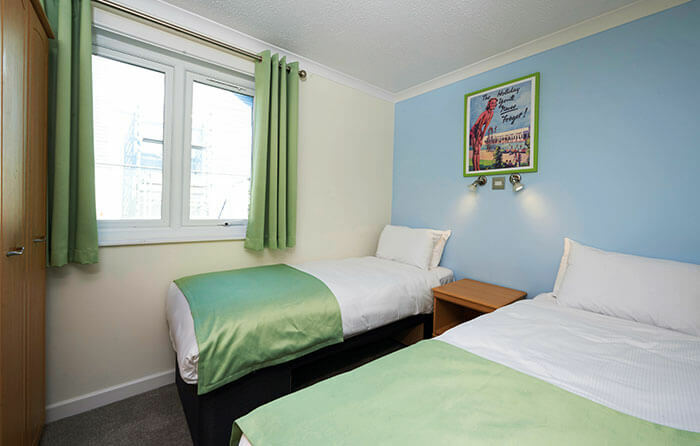 If you have little ones (or would just prefer not to have any stairs), you can guarantee a ground floor option when you book for an extra £15 (this is refundable on resort if you are a blue badge holder).